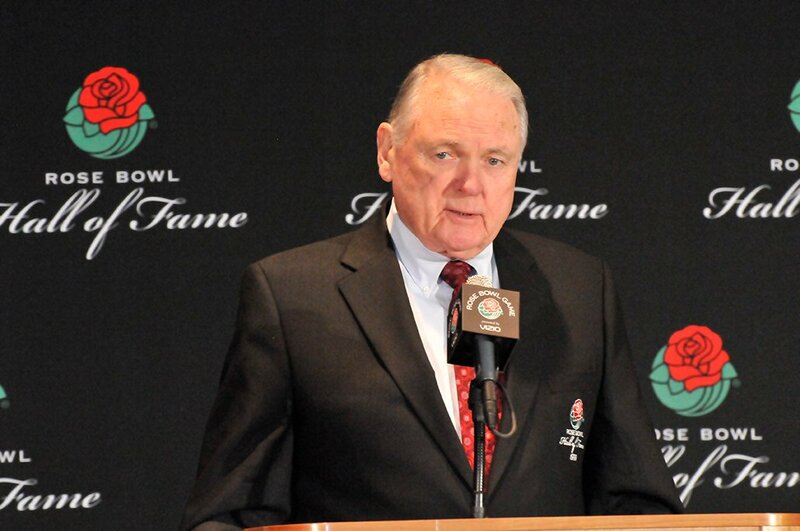 Keith Jackson passed away on January 12, 2018, and with his passing, a large chapter of college football’s history is permanently closed. Mr. Jackson was the voice of college football for as long as I can remember; and his voice is what I hear during the endless loop of replays that run through my head. It saddens me to know that I will never hear another game called by Mr. Jackson, even though he actually retired a few years ago. Losing the voice of college football is something that future generations will simply have to learn to live without. For more, I highly recommend the following ESPN.com article and video on Keith Jackson. This entry was posted in Announcers, In Memoriam by Travis Normand. Bookmark the permalink.